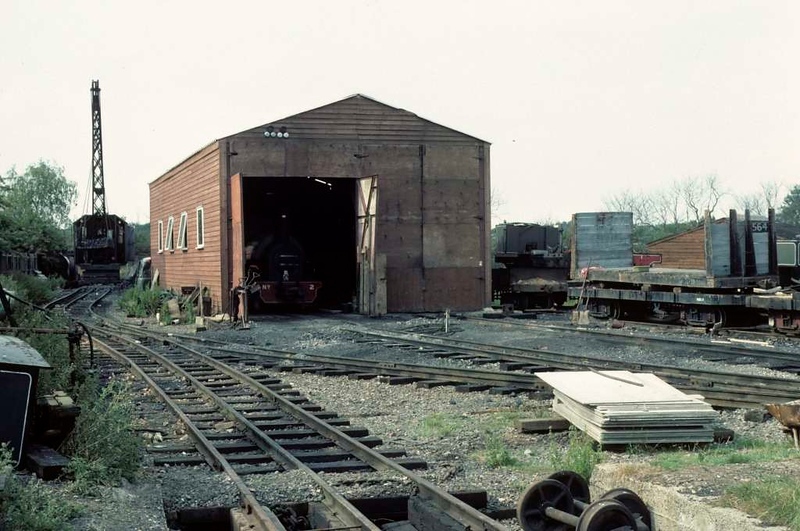 Loco shed, Whipsnade & Umfolozi Railway, 25 July 1976. A dismantled loco is at right, behind the shed and flat wagon. Note the mixed standard and two foot six inch gauge track in the foreground and at left. Photo by Les Tindall.